The first attempts to amplify the guitar were made during 1928 – 1936. The widespread availability of electricity was an advancement that was so important it affected almost everything. Naturally, human nature being what it is, curiosity led to tinkering. Seth Lover, Leo Fender, Walter Fuller, all learned electronics in the 20s and 30s in part by tinkering. All are recognised today as great innovators. But it was the generation prior who first saw electricity as the solution to the guitar problem. Special note should be made of guitarist Alvino Rey, G. Beauchamp of Rickenbacker and Frederick Dierdorf who sketched out and applied for a patent for an electrified violin in 1923. At that time the guitar was very popular. However, it was difficult for the guitar to be heard in the context of the bands of that time. Drums and horns would overwhelm it. It was soon clear that some kind of amplification was necessary. Mikes were first used but had limitations so guitarists looked for ways to sound louder using all sorts of things such as mouthpieces, phonograph tone arms, and revered wire speaker coils. Consist of either a single central magnet, or separate magnets beneath each string. The magnet can be made of magnetised steel or a magnetic alloy such as Alnico, Neodymium or Cobalt. When budget is an issue a ceramic magnet is used. George Beauchamp is credited with the first successful single coil pickup. 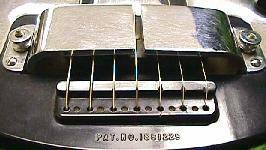 It consisted of two U shaped magnets with one coil and was named “The Horseshoe Pickup”. 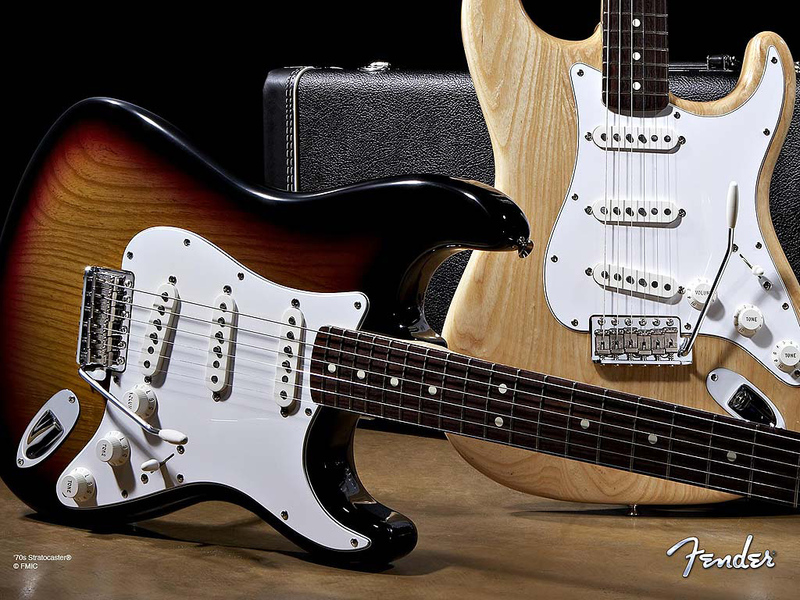 The most common form of single coil pickups are found on Fender guitars. Physically narrow with a well-focused magnetic field, they exhibit a higher frequency response than broader pickups. Single coils produce Great Clarity and High Frequency Response but are susceptible to picking up electromagnetic interference noise known as the 50/60Hz hum. Next is the P-90 .It was first introduced by Gibson in 1946. It consists of a large flat coil with adjustable pole pieces for each string and a pair of flat Alnico bar magnets lying underneath the coil. P-90s fall nicely between the Fender design and the Humbucker pickups that were later introduced. They are more transparent and brighter than humbuckers while being slightly fatter and warmer than Fenders. This is due to the wider coil and magnetic aperture of the pickup, which results in a less accentuated high frequency response. Humbuckers were contrived by, Gibson engineer, Seth Lover in the 1950s. They consisted of a pair of single coil pickups mounted side by side with the second magnets polarity reversed and the coils connected in series. The two coils are connected out of phase, but inverting the magnet in one puts the signal back in phase. As a result any hum picked up is cancelled out in a similar fashion to balanced audio cable. Humbuckers are darker and fuller sounding than single coils. Jazz and blues players were the first to adopt the design. 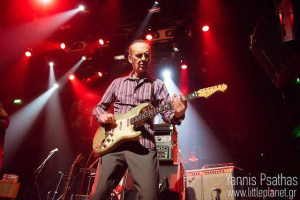 With the distorted sound of loud tube amps becoming popular, rock players followed. Gibson Les Paul guitars were the first to be fitted with humbuckers in 1957. From this point on, we’ll focus on recognizing the advantages of each type of pickup in our setup. We are all aware of the stereotype of “single coils for clean sounds and humbuckers for overdrive”. But digging deeper and spending more time with each type of pickup can reveal way more than just that. Humbuckers are very full sounding, so if you’re using a single ended amp with no master volume it is definitely a safe choice. But a humbucker on 2 is indeed capable of pretty, angelic shades that can easily pass for a single coil. At the same time, single coils, in my experience, are much better suited if you’re using a lot of fuzzes or time effects. The fact that they are not as powerful may play to your advantage when combined with heavy gain from other sources. Also, in my experience, single coils seem to work better with modulation effects, probably again because of the lower output. Playing with the volume controls is crucial on humbucker-equipped guitars. There’s a world of different sounds hidden in there, and when done right it can cover a lot of sonic ground. Usually, on my Les Paul I will set the neck pickup very low to cover clean sounds. I keep the bridge pickup maxed, so when I’m in the middle position I get a nice crunch, and full assault sounds on the bridge. On my strat I have to think differently as now, I have a master volume and can’t really blend individual pickup volumes. Also I have less output so I have to keep the volume up and use positions 2 and 4 for attenuated, scooped sounds. Lowering the volume on strats is similarly important and can be very effective. Choice of amp is also critical. A single ended non-master volume amp will sound great with a Les Paul. When I use my Komet 60 I always pair it with the Les Paul. When I use my Rivera TBR1, Ι will use the Strat most times as all my digital effects go thru that amp and the single coils seem to “hear” what I do better. In the 80s, Super-strats were a result of a lot of players seeking the clarity of a strat combined with the powerful sound of a bridge humbucker. Pickups such as rail humbucker, stacked humbuckers, split humbuckers were results from such experimentation. However, it is now clearer than ever that no one guitar can do everything. A lot of beautiful instruments were hacked trying to achieve this. A safe bet would be to have guitars with all different types of pickups. I have a Gibson Les Paul and a Fender strat. I have come to the conclusion that old school pickups pick up nuance better than anything featuring modern technology. Each design has also its drawbacks and hitting the sweet spot is difficult at times, especially when the choice has to be made quickly. Remember all this is my humble opinion and when you have music inside it will come out no matter the equipment you’re using! I hope this article sheds some light on the origins and quest of what we all are after…Tone.